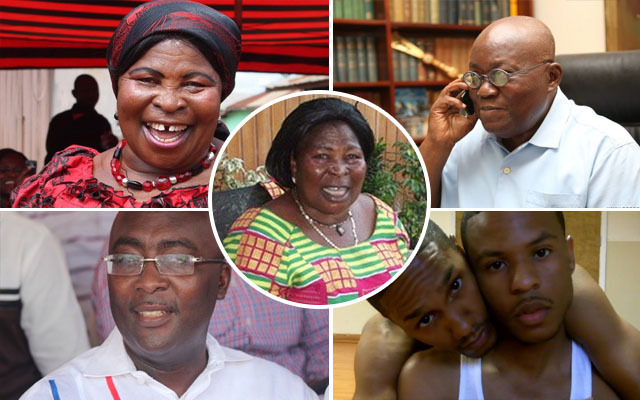 The leader and founder of the Ghana Freedom Party has descended heavily on president Akufo Addo for stating that Ghana could legalise homosexuality if there is a strong demand for it. Speaking in an exclusive interview with Ghanacrusader.com, the controversial politician, stated that it is obvious President Akufo -Addo and his vice, Dr. Mahamudu Bawumia are gays hence the president’s assertion that Ghana could legalise the immoral act in the near future. ‘’I can tell you on authority that the president and his vice Bawumia are gays. In fact Bawumia is a disgrace to all Muslims and the president is also an embarrassment to Christendom.’’ She lashed out. Answering questions on the international news network, President Akufo- Addo stated that homosexuality isn’t a big problem in Ghana yet when there is a strong demand for change that might happen. The Christian council of Ghana, not enthused about the president’s response has urged President Akufo Addo to be bold and declare Ghana’s stance on homosexuality. According to the Council, Ghana is totally against the legalization of homosexuality thus the President must not surrender to the whims and caprices of the international community.